Posted byEditorial Staff	 1st Sep, 2016 23rd Dec, 2017 Leave a comment on How to Create a Lead Machine Using Salesforce? One of the key areas where Salesforce has an advantage is in managing the inbound leads effectively. However for smaller and medium businesses, the presence of marketing software add-ons and all other options could be too expensive and it could also involve too much work for the team that is comparatively smaller for small and medium businesses. The best way to resolve those issues is to create your own lead machine which could help in enhancing the conversion rates and thereby allowing you to substantially grow your revenue by making use of the tools that are mostly available within Salesforce. It is not at all difficult to understand the basics of lead management and the lead management feature could have instant impact on your bottom line. The most important step that you will have to perform first would be to establish a process for handling leads by creating your lead machine. The process for handling leads will then have to be written as a short document and thus ensuring everyone within your team accepts the definitions as well as a common process. Irrespective of how larger or smaller your team is, it is quite common to have team members with different opinions based on their personalities as well as prior experience. Therefore it is always desirable to get every team members on the same page and thus can have a better written plan for reference. Here are a few questions that you will have to ask yourself and that you should be aware about. Who the target customer actually is? Characteristics of a qualified lead have to be defined. What is the procedure to follow up the leads and when to follow up the leads? When is an opportunity to be used for transforming a lead in to an account? Most of the Salesforce customers are usually identified with email addresses at a time when they are supposed to make use of a ‘Contact Us’ page or landing pages. However if you have decided to invest for Salesforce, then it is desirable to make the needful change to the processes so as to attract more inquiries by making use of forms. This can be inevitable for you to avoid any major cracks from the beginning of your lead management process. One of the key benefits of Salesforce’s web-to-lead technology includes the easier implementation process and the leads could be forwarded directly towards the Salesforce organization. Here are some of the fields which you will have to include within the form. The HTML code has to be generated by clicking a button. Get the expert help of a web designer for making it more appealing and presentable among the users. Ensure that it works in an enhanced way by submitting a test lead or three. The incoming leads are processed as well as organized by making use of some advanced tools by Salesforce. You will have to start making use of them if you have are not already making use of Salesforce Lead Automation. It is desirable to setup a queue for owning the incoming leads especially if there are atleast 1 or 2 sales people. You will have to create new assignment rules which are capable of offering ownership of a majority of the new leads to the queue. Either the leads could be manually claimed or assigned from the queue or else assignment of some of the leads to the users could be automated. You can choose between the two depending on the leads being received by you. Pre-populated fields comprised of hidden values could be also included within the Web-to-Lead forms and thus it would be capable of defining a lead source or a campaign. It can also help in indicating the form on a website in which the lead was submitted. These values could be of immense help in initiating the automated actions whenever the leads occur within the Salesforce. Thus new email templates could be created for autoresponders and the autoresponses that are tailored accordingly could be then forwarded to the leads based on the values they have or the way in which it has been assigned whenever it occurs. A lead queue has to be setup followed by setting up of assignment rules as well as auto response emails. More information could be included about the leads and forms along with hidden form fields. A tracking application that is capable of providing added information regarding from where a lead actually came from has to be setup by means of branching out from the core Salesforce functionality. The need for setting up a tracking application could be of enhanced importance especially if you are making investment on Google Adwords as well as for other online marketing techniques since this tracking application would help you to understand which of the advertising created some of the best quality leads. You will be able to know from where the best leads are being generated. Which type of advertising could be considered as a waste of money? You will be able to identify the keywords that the leads are making use of for finding your business. You will be able to identify the unexpected sources that are getting you more leads and the list may include social networking websites, partners or blogs etc. A separate app as well as a small tracking code is required for tracking the source of your leads which could be further placed on your website. You can choose from different type of tracking apps that is made available on AppExchange. Some of the top most tracking apps to name among a few include CloudAmp’s straightforward Campaign Tracker to tracking the capabilities of larger marketing apps such as Hubspot or Salesforce’s Pardot. It is time that you setup Dashboards so as to get enhanced visibility in to your lead totals and trends once you could identify the leads are coming through web-to-lead and could be easily tracked as well as assigned along with sending out the autoresponders too. It is desirable to have one or more lead dashboards in Salesforce as the data could be visualized easily as well as problems or successes could be spotted with ease and thus you would be able to easily understand how the demand generation efforts could work in an enhanced way at a higher level. The availability of a variety of dashboards for free download from AppExchange helps in making use of it as a starting point rather than the need to start everything from scratch. Only three steps are required for you to perform. The first step would be to ‘install’ and then ‘clone’ the dashboards so as to make a copy and finally you will have to click ‘Save as’ the reports while customizing which helps you to keep in place the original for reference. Furthermore the dashboards could be refreshed and then could be sent as an email to you as well as other team members on a daily as well as weekly basis and thus giving improved visibility in to the newly created Salesforce Lead Machine in the Enterprise Edition of Salesforce and above versions. It could be of immense help in improving the visibility for the managers as well as team members who does not log in to the Salesforce on a regular basis. There is no better way than email to check the lead machine status on a daily basis. For transforming the newly receiving leads in to conversions, it is desirable for you to put up an email marketing program. Depending up on your target market as well as sales cycle only, you will be able to determine the type of email marketing program that could perform better as part of your Salesforce lead machine. However there is no need for an email marketing program if you think that the average sale is usually taking just a week or twice from the lead to being a closed deal. However a structured email marketing program would be a necessity rather than a choice especially if the average sales cycle is 6 months or more and at times when you think there is a greater need for educating your audience about your product. It is desirable to choose Mass Email Leads or Contacts feature in Salesforce even though there are a variety of tools available for email newsletters as well as drip-email campaigns etc. 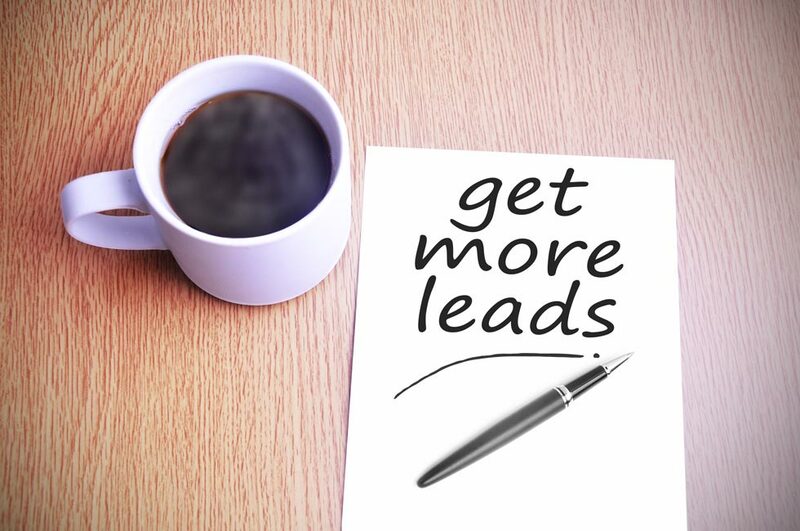 All the above mentioned steps will help create more converted leads for your business and thus helping you ultimately get more closed sales. Lead Scoring and integrating of the data from web analytics or chat systems are some other ways in which a lead machine could be created. This article is presented by William Hills, who is a professional technical writer with an experience of more than 5 years. His has written a variety of contents in past and now writing on salesforce application development, social media, search engine marketing, IT and business consulting services, crm for non profits and many more topics.